It is an era of innovation in an age of outsourcing. We are fortunate to reside in this flourishing industry now riding the tide of the times. 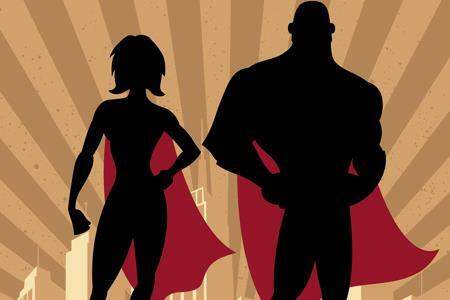 And the supply chain, to add even more adventure, is becoming Pharma’s super hero of innovation. But like any super hero, the drug development and manufacturing supply chain struggles with a dual identity. One – the traditional personality – is conservative, steadfast, and an order-taker. The other – which Pharma claims it wants contract development and manufacturers (CMOs) to become – breaks out into innovation, new technologies, and ingenious solutions to big challenges. Can CMOs serve Metropolis in both capacities? Is Metropolis – our community of Pharma – serious about working supportively with outside partners for innovation and technology? Are there models for this partnership? We’ll find some of the answers at Outsourced Pharma San Francisco, November 1-2. Here’s a sneak preview. An initial inquiry was sent via this communication, Silicon Valley, Meet BioPharma And Its CMOs (Please). Subsequently, thought leaders and newcomers involved in: tech transfer; project management; quality and regulatory compliance; CMO and external partner selection; the costs and models for outsourcing; and supply-chain risk mitigation, among others, offered opinions and helped shape an agenda. In the opening session, Pharma’s invitation to “innovation partners” in the outsourced supply chain, representatives from sponsors such as Achaogen, Amgen, and Pfizer will lay out their commitment to innovation and technology partnerships. Key here is this: CMOs have concerns about Pharma’s “pushing the burden of innovation” – and the costs and efforts needed – onto service organizations. We’ve heard CMOs say they just aren’t set up to fund such activities. To address this concern, Pharma will discuss building models of partnership (financial and cooperative) for working with service providers to develop new technologies and add innovation. Fundamentally, we all need this clarified: What is Pharma really looking for, and how can CMOs respond? But perhaps even more fundamental is the need to define “innovation.” Perhaps we can start (pre-conference) by describing what it doesn’t have to be. Innovation doesn’t have to be a revolutionary improvement, an earth-shattering breakthrough, some biblical process or platform to turn water into wine. It could, instead, be this: Dissatisfaction that an API takes 48 hours to tray-dry, and so devising a method and having the technology to spray-dry the material, and reduce the time to half a day. It could be introducing – or adapting – software that allows for better knowledge sharing during the transfer of complicated development programs. And yes, it could be a breakthrough platform for ADCs (antibody-drug conjugates), or the introduction of a new paradigm, such as nanotechnology. Or a facility newly configured for continuous manufacturing and single-use technologies. All these are important for this reason: CMOs may be selling themselves short. They just might be more innovative than they know. Bio, Pharma and CMOs need to get together to better understand and define the challenge. It’ll be interesting to see how this discussion goes. “High-tech and biotech don’t mix; they’re different animals.” We’ve been told this by various members of the Silicon Valley community. From the investment side, high-tech or information technology (IT) often begins with a strategy for accelerated returns and exit; category disruption is a goal. Biotech, on the other hand, has been based on an investment strategy supporting the years-long struggle it takes to get drug candidates (at least somewhat) through clinical trials. We’re told this is part of the reason Silicon Valley has disrupted other industries, but not ours. Also intoned is the highly regulated drug development and manufacturing environment. The FDA to Silicon Valley is like Godzilla to Tokyo. Can this divide by overcome? That’s the discussion the second session at Outsourced Pharma San Francisco covers (A view from afar: Silicon Valley on drug development and manufacturing). Already, we’ve seen new or virtual models for biotechs, some based on acquiring drug candidates, developing them to a certain endpoint, and then quickly selling the assets. There are certainty IT and Pharma convergences, for example in the efforts for serialization (ironically started by regulatory bodies), and data-sharing applications. A more varied analysis, different visions, and out-of-the-box thinking needs to go into investigating how the technologies and models for innovation of our times can better serve the Bio/Pharma/CMO industry. As it stands, the change-agents of Silicon Valley still seem far removed from the movers-and-shakers in the drug development industry. But as they say, even a journey of a thousand miles starts with a first step. If we take that step towards more innovation, it may start on a cultural bridge. The third session at Outsourced Pharma San Francisco is Bridging cultures: Sponsors, CMOs, Tech … and Millennials. One thing is certain: We have no shortage of gulfs, starting with business style (e.g., give me your elevator pitch vs. review this clinical data). I’ve personally worried about a possible lack of a “youth movement” in our industry. Panelists for this third session will include a newer member of our community (from Amgen), and a former Big Pharma executive turned Silicon Valley denizen and advocate for getting better responses from both sides. Biotech, after all, began as the new technology to challenge the Pharma industry. It’s done quite well. And there’s no irony in our calling Big Pharma “innovator companies.” Generics, and more recently biosimilars, one can certainly argue, are based on yet a different form of applied innovation. Now, more than ever, contract development and manufacturing organizations win (or lose) contracts based on “flexibility,” and their ability to think innovatively. And all this is an opening for Silicon Valley (and beyond) to assist both Bio/Pharma sponsors and service provides. This is probably a convergence you’ll want to participate in. Outsourced Pharma San Francisco 2016 takes place November 1-2, at the Hyatt Regency (San Francisco Airport).